A white pedestal with a sundial on top standing in a garden with flowers growing around it. A wooden decorative fence stands in the middle ground with trees growing behind it. 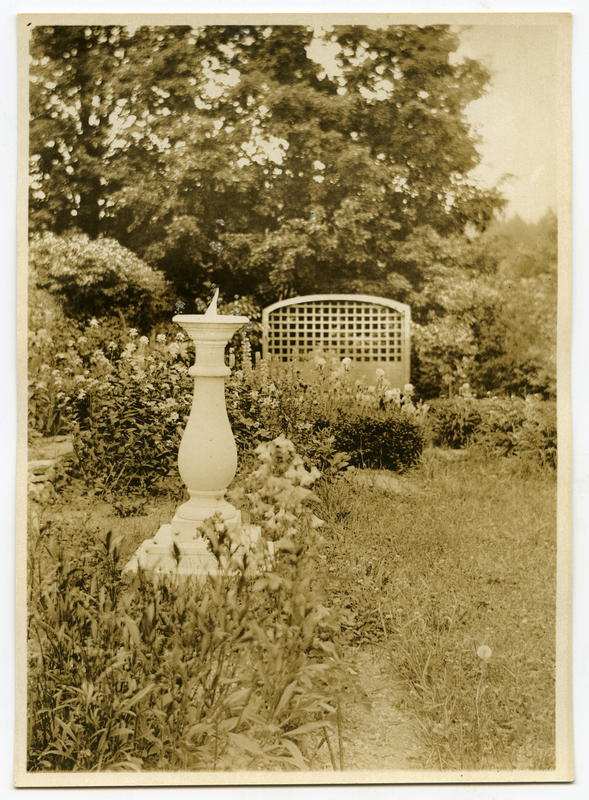 Johnson, Clifton, 1865-1940, “Sundial in the garden of Kenyon Cox,” Digital Amherst, accessed April 23, 2019, http://www.digitalamherst.org/items/show/3551.